In mid-January 1945, with the darkness of night enveloping them, bridge specialists from all three companies of the 133d Engineer Combat Battalion quietly slipped down the southern embankment of the Sauer River. They were preparing to deliver soldiers from the 5th Infantry Division across the river in rubber assault boats. They had to do everything under the cover of darkness because the Germans could observe the river’s banks from their positions on the ridge beyond. The plan was deceptively simple: as soon as the initial boat crossing commenced, two foot-bridges would be built to permit more infantry to cross and establish a foothold on the opposite side. At the same time, a larger infantry support bridge would also be erected. Behind the engineers, in the town of Gilsdorf, Luxembourg, the materials destined for the bridges had been stockpiled, ready to be brought to the river’s edge as soon as the construction began. As the engineers readied their boats for the crossing, the infantrymen prepared for their part in the assault. With the orders disseminated, plans were made and maps reviewed. Now the men waited quietly, checking and rechecking their weapons and gear as only combat soldiers do before they are thrust into action against a well-trained enemy. For the lead engineers, it was difficult maneuvering through the brush and down the steep embankment with their equipment: assault boats, ropes, stakes, tools, and personal weapons. To make matters worse, the Sauer was at flood level. The icy waters were ten feet above their normal level and rapidly flowing at around ten miles per hour. The crossing would be treacherous. The 133d Engineer Combat Battalion’s lineage originally came from the 116th Engineers (Combat), an Idaho National Guard unit of the 41st Division that was inducted into federal service on 16 September 1940. Headquarters, 1st Battalion, 166th Engineers, and Companies D, E, and F were reorganized and redesignated as 1st Battalion, 116th Engineers, on 14 February 1942 and assigned to Fort Lewis, Washington. It was then redesignated as the 133d Engineer Combat Battalion on 1 February 1943 and assigned to the Desert Training Center (DTC), California, in August 1943. In early February 1944, the 133d was ordered to move from the DTC to New York, where it was to embark for the European Theater of Operations (ETO). The battalion, with thirty-one officers, three warrant officers, and 633 enlisted men, shipped out of the New York Port of Embarkation on the SS Colombie and, after transiting Ireland and Scotland by convoy and ferry, arrived at Eynsham Park, England, on 3 May 1944. Once there, the battalion prepared to go to war. It conducted individual and unit training and became proficient with Bailey bridge construction. Although the American engineers were familiar with many types of bridge types and construction techniques they would use in combat, the Bailey was new to them. They would become expert with the Bailey as it was often employed in the ETO. The battalion moved onto the Continent on 13 and 14 July 1944 when it was transported by two LSTs across the English Channel to Omaha Beach. It spent its first nights in bivouac near Barneville sur Mer, France, and from that moment forward, the 133d was actively engaged in supporting the operations of Lieutenant General George S. Patton Jr.’s Third Army and VIII Corps as they moved east across Normandy pushing back the Wehrmacht. As the Allied offensive progressed, non-divisional engineer battalions like the 133d were often attached to units in the lead and then moved to other units as missions changed. The 133d stayed in the front lines throughout much of the ETO alongside the advancing infantry and armor divisions. Initially, the battalion was heavily involved with road construction and mine clearance, but that changed on 27 July when it was tasked to support the breakout of the 79th Infantry and 6th Armor Division near St. Lô during Operation COBRA. After clearing the town of Lessay of mines and booby traps, the 133d was ordered to build three bridges over the Seine River, including a 230-foot Class 70 Bailey. The bridge was completed on 31 July and was immediately tested when two Sherman tanks, each equipped with mine-exploding flails, crossed it without incident. It was named “Miss America” by the engineers who built her. On 19 August, the battalion was attached to Major General Manton S. Eddy’s XII Corps in the advance towards Germany. The 133d suffered its greatest loss on 29 August when German troops ambushed fifty-four men of 3d Platoon, Company B, during a road movement. Five men were killed and 43 captured after a two-and-a-half-hour firefight. 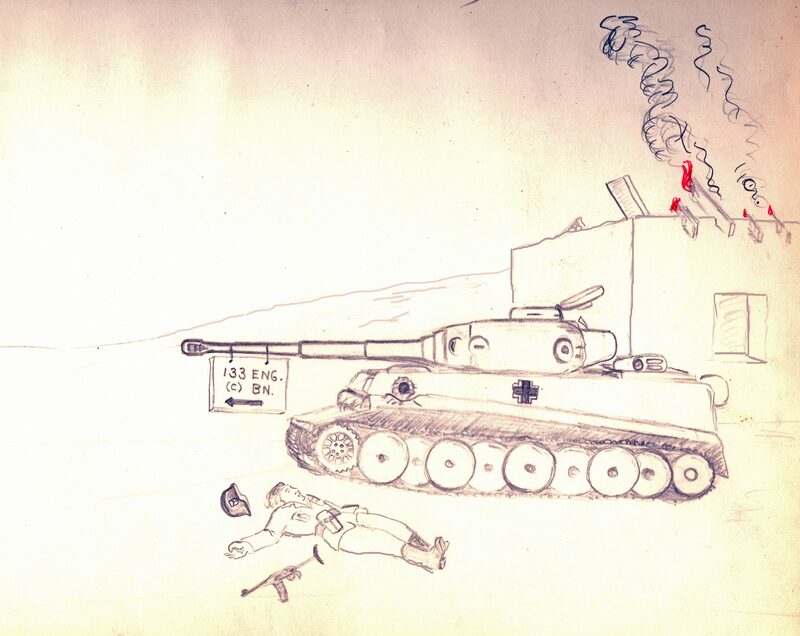 Despite the losses, the 133d continued building more bridges in support of the advancing armored and infantry forces and keeping the logistical routes open behind them. The Meuse and Moselle Rivers were crossed with bridges in short order, including one 90-foot treadway that was built under fire for infantry and an anti-tank company to relieve a besieged battalion on the far shore. Assault crossings of the Muerthe and Le Sanon Rivers in support of the 320th Infantry Regiment, 35th Infantry Division, were followed by another over a canal at Dombasle that required the battalion to use one of its companies as infantry to clear out the Germans before the structure could be crossed. By September, the situation in the region had settled into a defensive phase and the battalion was heavily engaged in building a defensive barrier system (road blocks, abatis, and minefields) for the 35th Infantry Division. Lieutenant Colonel Thomas J. Skeahan took command of the 133d from Lieutenant Colonel Roy L. Lane, who was relieved for unspecified reasons. In an action that typified the valor of the engineers, Technician 5th Class Bert C. Balke was awarded the Bronze Star for walking out onto a strategically important bridge to light fuzes for demolition charges on 26 September 1944 near Pettoncourt, France. Balke conducted the mission while under heavy German mortar and small arms fire. 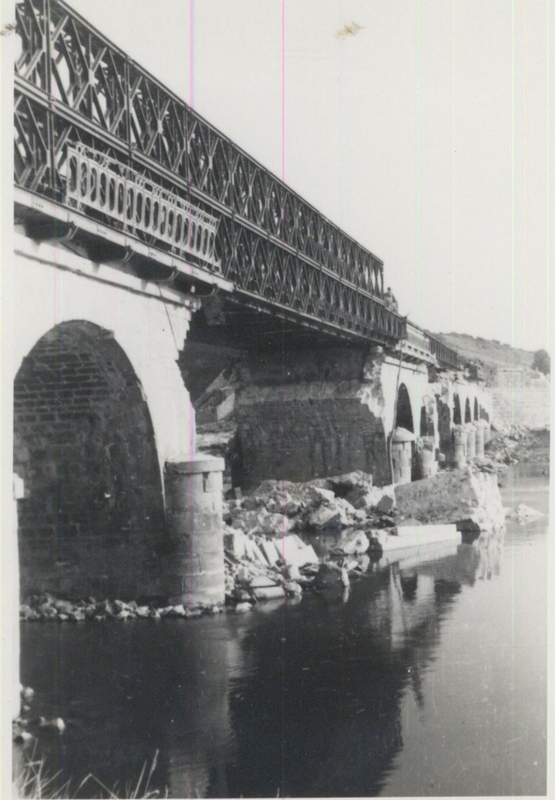 In October, the Allied offensive picked up again and more bridges were built over the Moselle at Manhoue and the Seille at Ajoncourt, including one that was named “Miss Carriage” after the first bridging attempt failed. The 133d was attached to 1135th Engineer Combat Group in November 1944 and continued to support operations by clearing roads and minefields, maintaining supply routes, and building bridges, often under enemy fire. Here in the eastern extremity of France, Americans first experienced the abandoned French defenses of the Maginot Line and devoted much time and effort to clearing obstacles and repairing blown culverts and damaged roads that were slowing down the advance of XII Corps. In early December, the XII Corps prepared to make an assault crossing of the Saar River near Wittring, France. All three companies of the 133d were employed to build the bridges, including a 130-foot Bailey, that were used by the 320th Infantry Regiment to cross the Saar and engage with the Germans on the 8 December. Six days later, the 320th crossed the border into Germany. The German surprise offensive in the Ardennes, the “Battle of the Bulge,” soon followed, and all forward momentum stopped while the focus shifted north. In mid-December 1944, elements of the 109th Infantry Regiment, 28th Infantry Division. had reached Gilsdorf, Luxembourg, and were waiting for the right moment to cross into Germany. In front of them lay the Our River and the formidable West Wall, better known to the Allies as the Siegfried Line. The West Wall was an in-depth, defensive cordon of antitank obstacles, ditches, pill boxes, and artillery positions meant to keep invaders out of Germany. Built in the late 1930s, it was largely abandoned after the German Blitzkrieg overran France and the Low Countries in 1940. When the Allies landed at Normandy in June 1944, it was re-manned and made fully operational by September of that year. As the Americans waited for better weather to continue their drive, Hitler prepared an attack of his own. On 16 December, German forces launched a last ditch offensive into the Ardennes Forest against the First Army’s VII and VIII Corps that was meant to divide the Allied armies and force a negotiated surrender. The Germans had used the Ardennes route before, once in 1914, and again in 1940. Oddly, most American commanders assessed the Germans incapable of a surprise attack through the difficult terrain and considered it a “quiet” sector. The U.S. VII Corps was in defensive positions in the area with two inexperienced divisions and two battered veteran divisions when the attack began. The American misgiving that Ardennes was a quiet sector was about to cost them dearly. The German attack comprised thirty divisions in four armies, over 400,000 men, who were facing approximately 228,000 Allied troops. The attack began with a ninety-minute barrage by 1,600 artillery pieces along an eighty-mile front that ran from Monschau in the north to Trier in the south and was centered on the Ardennes Forest in Belgium. The barrage was followed by an armor and infantry assault that slammed into the surprised Americans, who, for the most part, fell back. Although some units were surrounded and decimated, others tenaciously held onto the key crossroads at St. Vith and Bastogne. As in many other locations, the 28th Division fell back, abandoning the recently liberated towns of Gilsdorf and Diekirch to the enemy. To the south of this “bulge” was the U.S. Third Army under Lieutenant General Patton, one of the few Allied commanders to anticipate a possible German attack. Patton fully expected that he would be called upon to help and, hearing of the German offensive, presciently called his staff together to plan three possible responses to stem the rupture in the Allied line. When Supreme Allied Commander General Dwight D. “Ike” Eisenhower asked him how long it would take to turn his forces ninety degrees and move them 100 miles for an attack, Patton famously stunned the gathered staffs with his answer: “48 hours.” Soon the Third Army’s XII and III Corps were on the move, just as Patton promised. The 133d Engineer Combat Battalion was part of this massive drive north. In response to Patton’s new mission, the 133d moved north to Luxembourg on 21 December, part of a very large convoy driving on treacherous, icy roads. For the first time in the war, the drivers were authorized to use full headlights, which turned out to be quite a thrill for the troops, at least until they were strafed by a German fighter. Patton wanted to allow the Germans to penetrate deeper, to lure them further in—“all the way to Paris,” he had said. There they would be overextended and “we could cut ‘em up and chop ‘em up,” he added. Eisenhower and General Omar N. Bradley, the 12th Army Group commander and Patton’s immediate superior, were more cautious and did not support such a daring plan. Instead, Patton had to be content with slowly squeezing the Germans across a front twenty-five-miles wide back through the Ardennes and into their homeland. In late December, with the 5th Infantry Division forming the center and the 4th and 80th Infantry Divisions on its right and left, XII Corps was holding the southern flank ensuring the “bulge” did not expand. Other forces were pushing east into the salient to relieve the American forces besieged in Bastogne. The German onslaught had been staunched, but not stopped. The 133rd was now in direct support of the 5th Division and prepared extensive defensive obstacles to hinder further German attempts to penetrate the American lines. The entire system consisted of 113 obstacles that could be set up and detonated in eighty minutes. As it turned out, these were not necessary as the German Seventh Army that formed the southern wing of the Ardennes assault was made up of mostly infantry units that never attempted an attack in XII Corps’s direction. Beginning on 8 January 1945, the 133d was relieved of its barrier duties and moved to Gilsdorf to support the Third Army’s assault further into the Petite Suisse (Little Switzerland) region. Rugged and saturated with hills, heavy forests, valleys, and fast-flowing waterways, the region was a most difficult place to conduct combat operations. Through January and the first half of February, the 133d supported the 5th Infantry Division in its offensive to win control of Luxembourg’s southeastern border with Germany. The unit was tasked to support two crossings of the Sauer River on 18 January and 8 February by building no less than four bridges while conducting boat crossings of the infantry assault troops under heavy enemy fire. Patton’s plan was for the 5th Infantry Division to cross the Sauer River and initiate the assault. The 4th and 80th Infantry Divisions would follow to protect its flanks. The 5th would attack with two regiments in the center of the line, the 2d on the left and the 10th on the right. The 133d would support the 10th Regiment’s crossing, which was set to jump off at 0300 on 18 January. It was to be a surprise; no artillery fires would precede the assault. Reconnaissance was done to determine the best locations to approach and cross the Sauer, both from the infantry’s as well as the engineer’s perspective. Beginning at dusk on 18 January, the engineers moved their equipment forward; the infantry’s approach routes to the river were marked. By 0300, everyone and everything was in place. The boats were launched and the first wave of infantry made it to the opposite shore unscathed. It was only then that the Germans realized a full-scale assault was underway. All hell broke loose. Flares illuminated the night as small arms, machine guns, and mortars subjected the shoreline to heavy fire. The first wave of Americans was pinned down and the men on the near shore were forced to withdraw to cover. Slowly the far shore was cleared of the enemy and the assault resumed, but the entire area was still being subjected to indirect fire from German artillery and mortars. The engineers continued their work ferrying the infantry across in the boats and building the footbridges. The 133d’s Company A had been tasked to build the larger bridge. At around 0400, a six-man party led by Lieutenant George Stejskal crossed a 300-yard flat to reach the river’s edge. Their goal was to cross a cable to the other side. As they prepared to launch their boat into the swiftly flowing waters, a German machine gun that had been bypassed by the infantry opened fire on the engineers and wounded one man. The other soldiers scattered. Stejskal realized that it would soon be daylight and, while still under fire, gathered his men and led them to cover before returning with two volunteers to bring back the wounded man. The machine gun was finally put out of action with suppressive fire and Stejskal returned his men to the work of constructing the bridge. It was important that the bridge be built quickly as it was needed for resupply of the infantry and evacuation of the wounded from the far shore. The 400 smoke pots brought up to obscure the river were ineffective because of the wind. 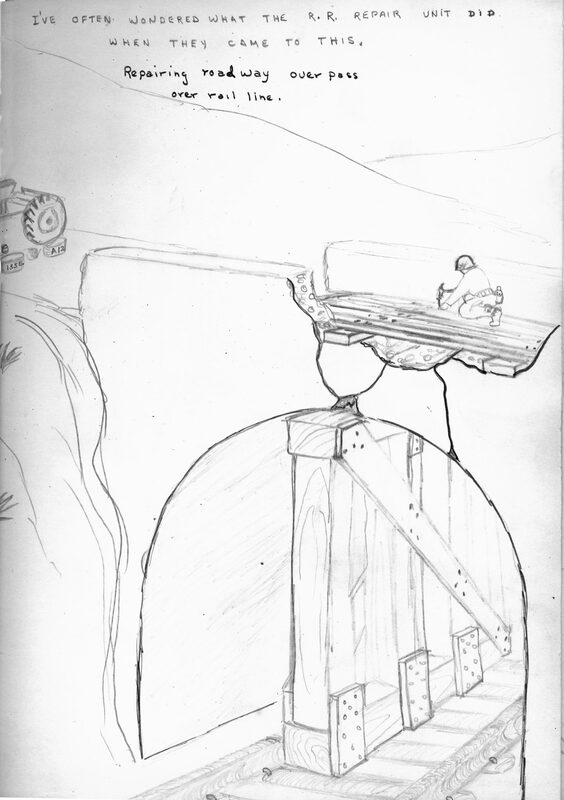 As a result, the engineers had to work in full view of the enemy. 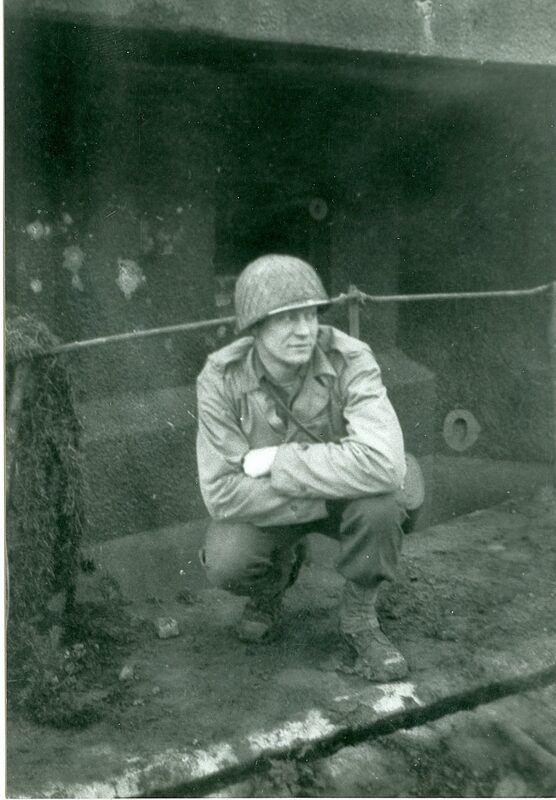 With mortar and artillery shells falling all around, Lieutenant Stejskal stayed cool and encouraged the men from the front to ensure the cable was emplaced and the construction continued. Sections damaged by artillery fire also had to be replaced as the work continued. The bridge was completed in three-and-a-half hours but not without a cost: nine men were wounded and two killed that day. 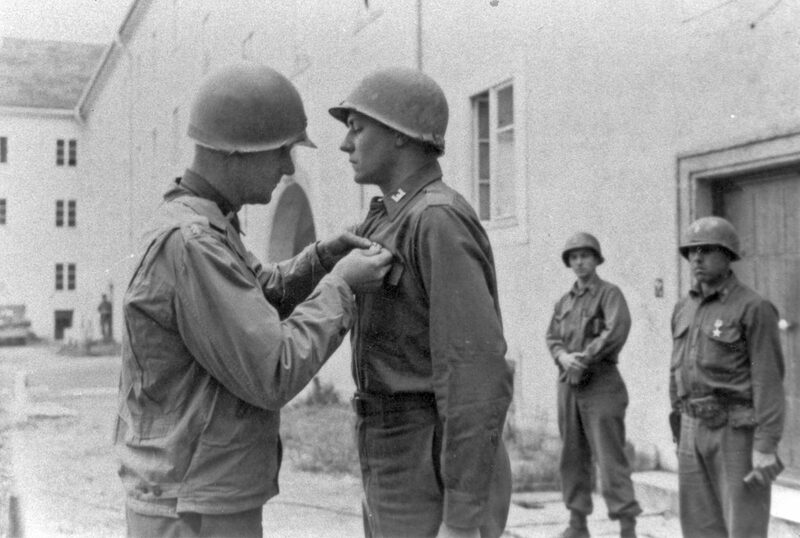 For his gallantry in action, Lieutenant Stejskal was awarded the Silver Star. By 1800 on 18 January, the 133d’s work was completed. Companies B and C were withdrawn from action to rest while Company A remained to maintain the bridges. The operation itself was a success. The 2d Infantry Regiment captured the town of Diekirch and cleared the surrounding Erpeldange district, while the 10th Infantry Regiment advanced north of the Sauer River, east of Diekirch to secure the ridgeline and clear the Germans from the west side of the Our River. More bridges would be built, more medals won, and many more sacrifices made by the Allied armies before the war was won later that year. But on that day in January, the men of the 133d could be proud of the work they did to speed their Army on to that victory. In mid-February, following the Battle of the Bulge, XII Corps’s next big push included crossing the Prum, the Kyll and Moselle Rivers to support the 76th and 89th Infantry Division advances in late February 1945. 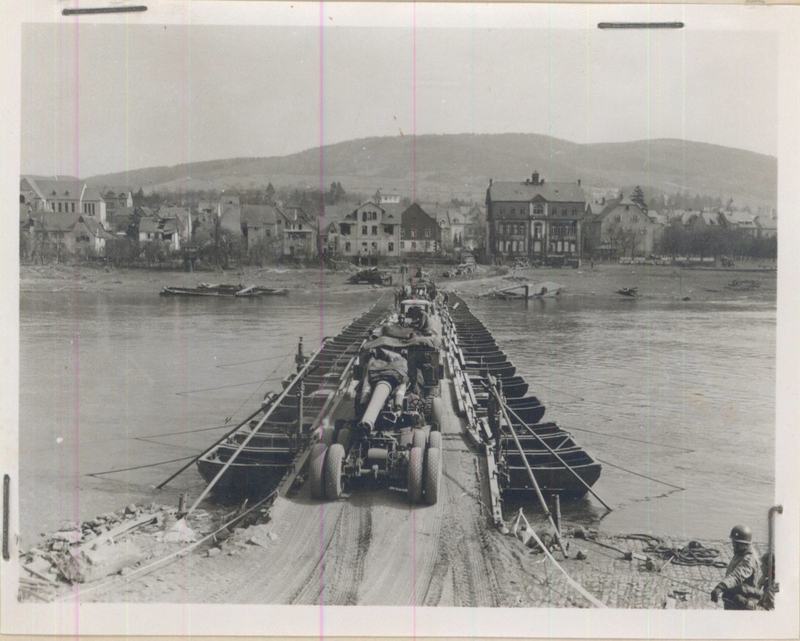 Another Moselle crossing required a 420-foot heavy ponton bridge and several smaller structures to facilitate the advance. On 22 March, the 133d was relieved and re-tasked to support the 5th and 90th Infantry Divisions’ crossing of the Rhine River. Here, the battalion’s primary mission was to maintain the divisional main supply routes and bridges. By this time, the Third Army was beginning to advance at a faster pace and, on 29 March, the 133d was placed in direct support of the 11th Armor Division’s push across Germany. The work tempo was as fast and furious as ever, but distances travelled each day were increasing. The engineers main job was to ensure the roads and bridges were capable of supporting the heavy traffic, which included twenty-four new M26 Pershing tanks received by the 11th Armor Division. April 1945 was marked by a succession of bridges built, roads repaired, minefields cleared, all while engaging German forces of varying sizes and bellicosity. Many German units resisted the Americans while others surrendered realizing the futility of further battle and in hopes of avoiding the expected Russian retribution in eastern Germany. Near Bayreuth on 12 April, the 133d was moving to a new bivouac area when two German Me-109 fighters strafed the column. Despite the air attack, as well as pockets of resistance still faced by the 133d as it advanced deeper into Germany, it was clear that the Third Reich was in its death throes. By late April, the 11th Armored Division had reached the Czechoslovak border and turned south. It moved rapidly with its own engineers and the 133d clearing the way and crossed into Austria near Linz on 2 May 1945. Still more bridges were built until the war officially ended at one minute past midnight on 8 May 1945. All that was left was the clean up. Before the battalion was sent to Camp Miami, France, for return to the United States, it was heavily involved in occupation duties including the building of prisoner of war barracks as well as road and bridge repair. The 133d Engineer Combat Battalion was credited with the following campaigns for service in the ETO: Normandy, Northern France, Ardennes, Rhineland, Central Europe. The battalion participated in ten major assault river crossings and built nearly five miles of bridge in the European Theater. The 133d suffered 174 casualties, forty-three of whom were taken prisoners by the Germans. Approximately fifty enlisted men and ten officers of the battalion were killed in combat. Soldiers of the 133d were awarded sixteen Silver Stars, 177 Bronze Stars for Valor or Meritorious Service, and 210 Purple Heart Medals and Oak Leaf clusters. Most of the 133d’s men returned to the United States in August 1945 although the battalion itself did not return from Europe until April 1946. The 133d was inactivated on 16 April 1946 at the New York Port of Embarkation. My father was a combat engineer officer assigned to the 133d. George Edward Stejskal was born in Omaha, Nebraska, on 25 May 1918. The son of Czech immigrants, he and his two siblings grew up on a farm on the outskirts of the city. It was there where he learned how to work with livestock and mastered his favorite pastime: hunting upland game and ducks. In 1940, he was working at the Omaha Stockyards as a livestock broker, the middleman between the big packing houses and the rancher, when he received his draft notice. He served in the Army as an enlisted man from early 1941 to 1943. He then attended Engineer Officer Candidate School at Fort Belvoir, Virginia. Commissioned on 7 July 1943 as a second lieutenant, he was soon preparing to go to war. While stationed at Fort Lewis, he met, courted, and married Marjorie Jane Marinakos of Anacortes, Washington. Their first son, Richard, was born shortly after Lieutenant Stejskal shipped out for Europe in July 1944. He served as a platoon leader with the 133d Engineer Combat Battalion until war’s end when he returned home to Omaha, his family, and the “Yards” as he called them. Soon there were three sons, Gregory and James had joined the brood, but through this period George kept on as a reserve officer. 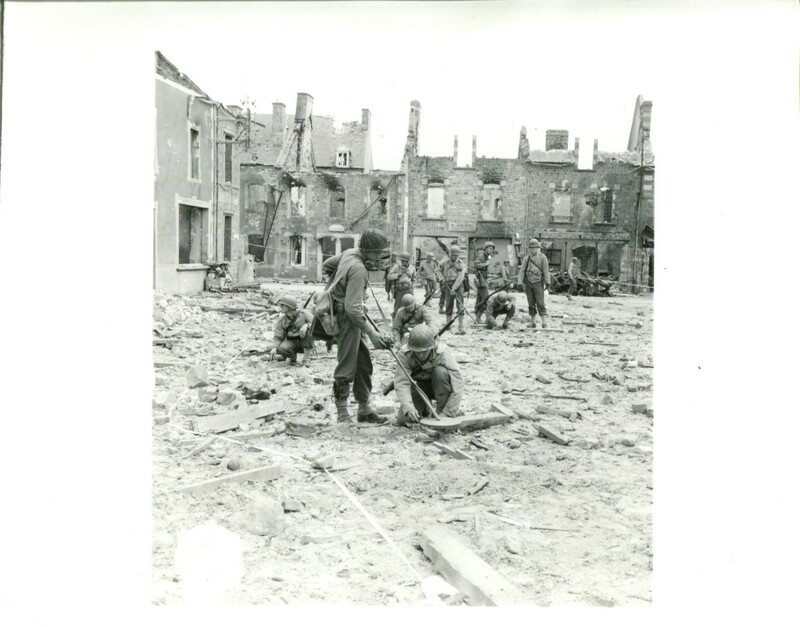 He would return to Europe during the Korean War, again as a platoon leader, but this time with the 406th Engineer (Construction) Battalion, building base facilities for the occupation forces. He would eventually retire as a lieutenant colonel. He passed away during one of his beloved duck hunts on 25 November 1986. As a youngster, I discovered one of my father’s military books. It was a unit history for the 115th Engineer Battalion, the outfit with which he served as an enlisted man. 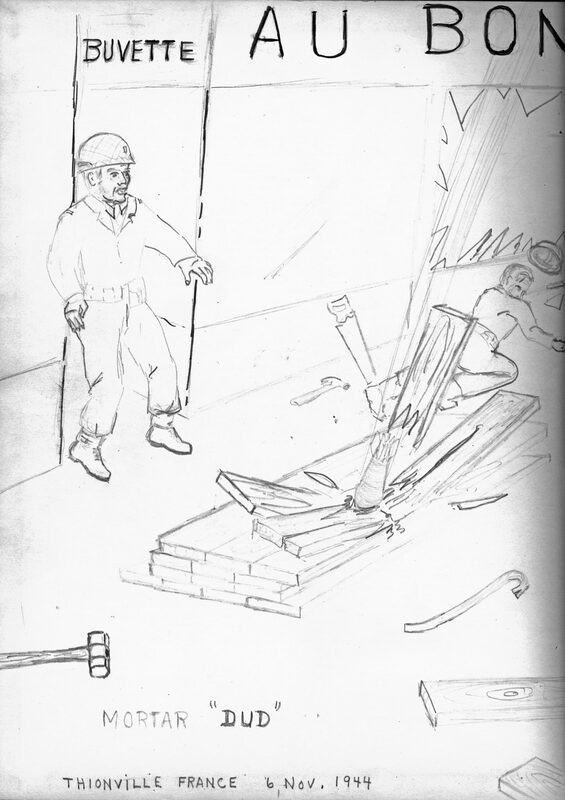 In it were pencil sketches he had drawn after returning from service in Europe. I would get lost in the book’s photographs and their captions, but what intrigued me most were the drawings. 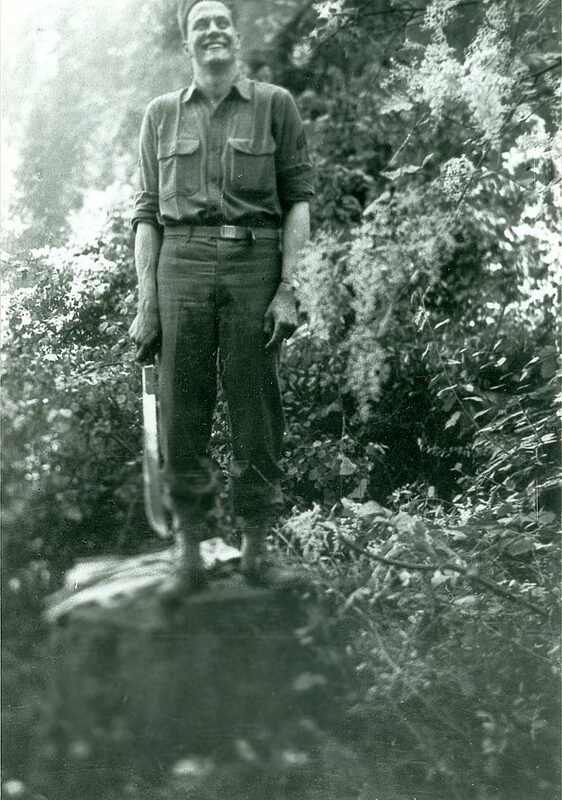 My father never talked much about his exploits, rather he told stories of what he saw and experienced, often through the deeds of the men with whom he had served. Another depicted the folly of driving cross-country in a Jeep packed with fuzed mines in a trailer. The incident did not end well for the two men in the vehicle. Another, my older brother’s favorite, showed two German fighter planes strafing a convoy of vehicles. It shows one of the Me-109s going down in flames. My father told me a Quad .50 (four M2 .50 caliber machine guns on a traversible mount) posted on a nearby hilltop succeeded in bringing down the plane. One sketch, however, was different than the others. It depicted a bridge crossing with the simple caption “Diekirch, 7 Jan 1945, 0400.” In the drawing, a German machine gun is firing on a squad of engineers as they attempt to cross a river in an assault boat to take a cable to the enemy side. An already completed infantry assault footbridge can be seen on the right of the drawing. A lone American soldier fires a carbine at the Germans. When I asked my father about it, he demurred, saying only that the sound of the German machine guns was terrifying. The noise they made when they were fired was “like the ripping of a bed sheet,” he said. I later found out that the rate of fire of the German MG-34/42 was between 900-1500 rounds per minute, about twice that of the American machine guns. When I first heard one during my own service in Germany thirty years later, I knew exactly what he had meant. 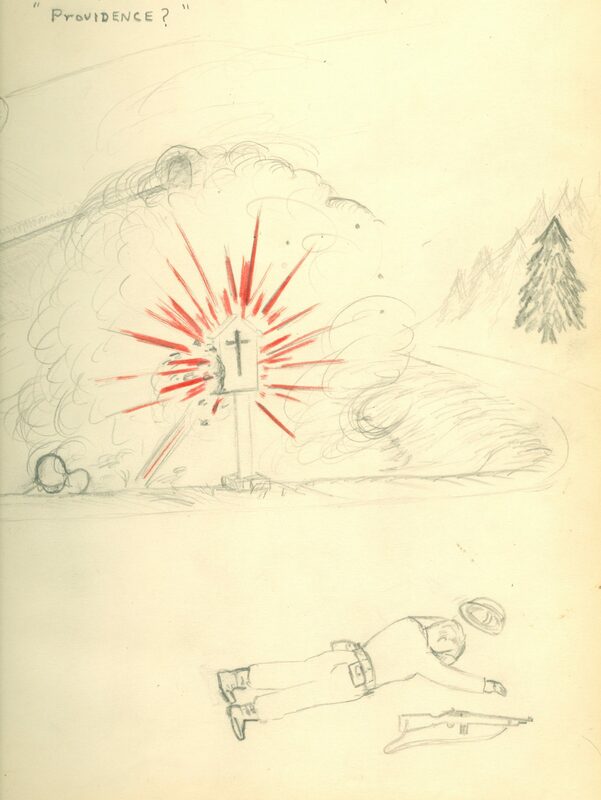 When we found the citation for my dad’s Silver Star award, the connection to the story behind the sketch became a bit clearer, but it still was not complete. The date and place where he earned the award had been redacted by the Army. We only knew that he received the medal for his actions on an unnamed river in Luxembourg. With some help from the National Archives, we were able to piece together the rest of the story described in the preceding article.